The Dutch government’s decision to expel the four GRU agents who were spying is fraught with lame excuses by the Dutch for not prosecuting the malefactors. On October 4th the Dutch said that they were expelled the GRU operators because they had diplomatic passports, even though they were not on any diplomatic mission when they were caught spying. Low level diplomats do not have full diplomatic protection and can be arrested and charged for crimes. On October 5th the Dutch claimed that the GRU spies were expelled because their actions were not criminal but civil violations of law. In the past many countries including the United States has expelled Russian spies rather than prosecute them. Expulsion of alleged spies is usually a form of political action, typically in retaliation for known bad behavior or because US agents were arrested and the expulsions were retaliatory action. Why did the Dutch appear in a hurry to kick them out? It could be the Dutch government was persuaded by the Russians that if they decided to go through with any prosecution the Russians would cause harm to the Netherlands. How could the Russians cause harm? The Netherlands is nearly 100% dependent on imports of oil (around 1 million barrels a day), mostly from Russia. However, the Netherlands is in net surplus of natural gas which comes from the large Groningen field and a number of smaller fields. The quality of the natural gas is relatively poor and is mostly used for heating homes. The Russians could cause some trouble for the Dutch by holding up on oil supplies or through irregular deliveries. In future the Dutch will also need supplies of natural gas, much of which could come from Russia. The Dutch plan to shut down the Groningen field, at the latest by 2030, because extraction of gas is causing ground tremors and earthquakes and is an environmental hazard. Dutch exports to Russia could also be at risk if Russia decided to retaliate. Dutch exports to Russia, which have grown significantly are now at a level approaching €4 billion. The Russians could find plenty of alternatives and restrict or stop Dutch trade. Beyond economic pressure, there is cyber pressure. As is very clear, the Russians don’t in the least mind interfering with banking operations, stealing government information, intimidating or blackmailing officials and disabling critical government and military functions. Geert-Jan Knoops, a lawyer and law professor in the Netherlands argues that the Dutch wanted to avoid any additional strain in relations with the Russians and decided to let the United States take on the burden of prosecuting Russians. The day after they four GRU operatives were expelled, the US Justice Department announced indictments of seven Russian GRU agents for conspiracy to commit computer fraud and committing wire fraud and money laundering, as well as for cyber attacks on a US nuclear power plant run by Westinghouse. It is important to note that the GRU operatives in the Netherlands were hustled out of the country before the US indictments were announced, because if they waited the Dutch would have been obliged to criminally charge the GRU operatives they arrested, something they wanted to avoid. In a sense the expulsion result is not very good because it brings little concrete pressure on the Russian government other than bad publicity. While the GRU operatives have been outed, not much else negative happened. In fact, by exposing the blunders made by the Russians in their attempts to steal sensitive information, the Dutch helped the GRU fix some of its operational problems –a free gift from the Dutch to the GRU. Of course the expulsions were embarrassing to President Vladimir Putin, but the Russian disinformation system will cover any damages with relative ease, just as they have braved it out against myriad allegations of illegal behavior including murder of former KGB operatives and Russian oligarchs, bankers, lawyers, businessmen and journalists, the shoot down of Malaysian airlines Flight 17 over the Ukraine using BUK missiles manned by Russian troops probably under GRU command, the not so secret operations in Eastern Ukraine, the takeover and annexation of Crimea using “little green men,” and atrocities in Syria including support for the use of Sarin nerve gas. It is a very long list and it paints a picture of Russia as a rogue state –including interference in elections in many countries including the United States– leaving little hope Russia could ever become a reliable interlocutor or partner. One can make the case that while the Russian state has evolved in many ways since the end of Communism, Russian military and intelligence organizations still operate on the Soviet model. In effect, the most sensitive parts of the Russian state have failed to modernize yet they remain the real power brokers in the country, Communism or no Communism. 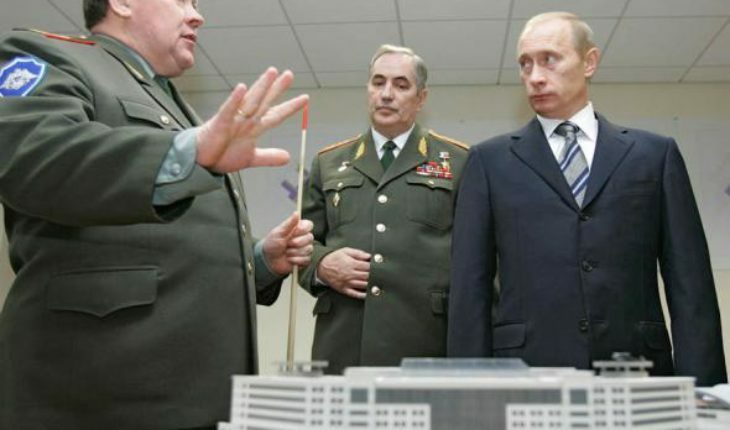 Russia’s operations in Western Europe driven by the GRU have largely backfired and act as a warning to Europeans that Russia is dangerous and run by the Thugocracy, just as Putin’s operations against the United States have done the same thing. Stirring up trouble with little discernible gain is Putin’s Achilles heal –he is risking the future of Russia by perpetrating foolish and badly organized attacks on Western targets, and convincing a liberal Europe that it had better dust off its commitments, especially to NATO and treat the Russians for what they are.